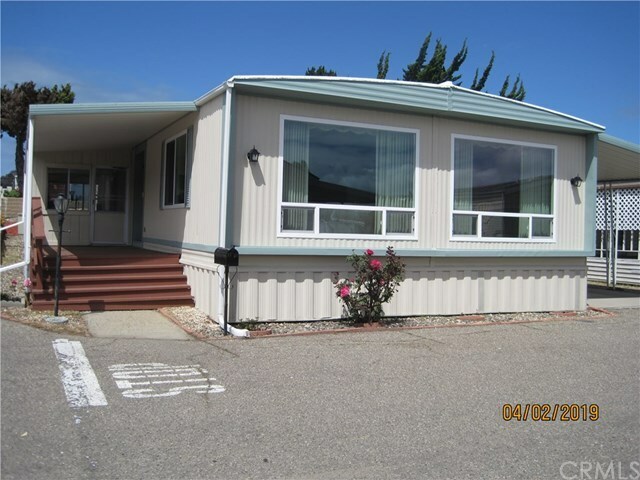 Corner location in Laguna Lake Mobile Home Park. Living and dinning rooms offer open space and natural light from three large windows. Dinning room has a built in hutch for additional storage. The Galley kitchen (with new stainless sink) opens to dinning room and a less formal eating area. The kitchen and eating area has new laminate flooring. There is also a counter bar with two chairs. Master bedroom has large closet and master bath also has a walk in closet, along with 2 double sinks and a make up area. Secondary bedroom has built in wall chest of drawers and shelves. For more space it opens onto a sun room. Small yard, carport with shed. Included in sale is washer, dryer, refrigerator, and microwave. Low space rent to new owner of approx $650.00, which includes water, sewer and garbage. Other amenities include club house, game room, pool and gym for owner use. Information is deemed reliable but not confirmed.